Have you ever taken the time to think about how the warm and cool air circulates around your home? If not, remember this: your home’s air ducts are extremely important to the efficiency of your HVAC system. For this reason, it goes without saying that you should have these ducts cleaned and sanitized every year. · Improve indoor air quality. 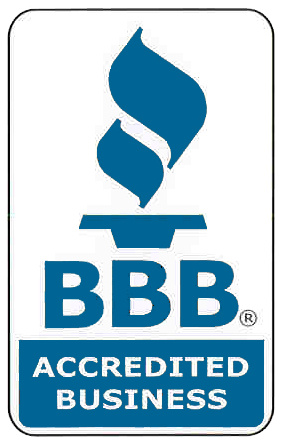 · Boost the overall performance of your HVAC system. · Reduce a variety of allergy causing particles, such as mold spores, pet dander, and dust mites. · Eliminate cold and hot spots, ensuring that every room in your home gets the airflow it needs. With so many benefits of air duct cleaning, it’s important to look into this at least once per year. Our highly efficient vacuums remove 99.997% of the dirt, dust and particles that could be clogging your heating and air conditioning equipment. In other words, once we clean your air ducts, you can rest assured that they will be as good as new once the project comes is completed. We’re here to help! Contact us today to schedule an appointment. We do not disclose your personal information to any third party without your consent. Having your air ducts cleaned, can help ellimate these problems. Reduce Dusting. Source removal duct cleaning can help to reduce household dust by removing the dust where it travels most – through your air duct system. I like that you point out that one of the reasons to have your air ducts cleaned is that it improves indoor air quality. I can see why this would be nice if you live in an area with high air pollution and are looking for ways to breath in better air. My son occasionally has asthma flare ups because of the poor air quality outside. I’ll have to have someone come clean my air ducts so that he can breath better in my house. Thank you for your blog. Duct cleaning generally refers to the cleaning of various heating and cooling system components of forced air systems, including the supply and return air ducts and registers, grilles and diffusers, heat exchangers heating and cooling coils, condensate drain pans (drip pans), fan motor and fan housing, and the air handling unit housing. Nice benefits and air duct clean will help to cause you less cost and it will work for long period. Regular and efficient air duct cleaning can also prevent heating up of the systems, thereby eliminating fire threats. HVAC systems with blocked ducts work with an overload and can also break down leading to repair costs. My wife has been deep cleaning our house for quite a long time, and we thought it might be nice to get the dryer vents cleaned in the process. I really like that it can actually improve the air quality of your house! Since my son already has asthma, it would be nice to have the air as clean as possible. I didn’t realize air duct cleaning can improve the indoor air quality of your home by removing 99.997% of dirt. My wife has been suffering from allergies lately. Hopefully, we can use this info to improve her health and reduce her symptoms. Thanks! My sister is moving into a new home and is wondering if she should get the air ducts cleaned before starting to live in the new space. 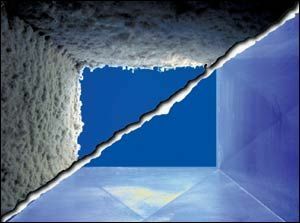 It is good to know that cleaning air ducts can reduce a variety of allergy causing particles. It would be great to rid mold spores, pet dander, and dust mites. I will tell my sister that it is a good idea to have the ducts cleaned before moving in. I like how you mentioned that air duct cleaning is significant for your home’s ventilation and cleaning it isn’t a simple DIY job. I’ll be sure to call a professional to have ours cleaned before we come home from vacation then and have our maid expect the arrival. Hopefully, our air duct will be in its optimal state once we return. Thanks for the tip about how to approach air duct cleaning! Nice benefits! Duct cleaning generally refers to the cleaning of various heating and cooling system components of forced air systems. Thanks for sharing your post. Its really nice .